More and more journals are available in an open access format on the web - and more and more are only published in this format, without a printed version. The advantages of speedy publication at a lower cost are obvious, and the publications can potentially reach a much larger audience. Editorial work and peer-review can of course be maintained for online publications just as for traditional outlets. When it comes to medieval art, there is a generous selection of such journals on the web, to supplement such print (+ restricted online access) journals as Gesta. What follows is a selection of such journals, with a brief description lifted from the introductory pages of the respective journals. 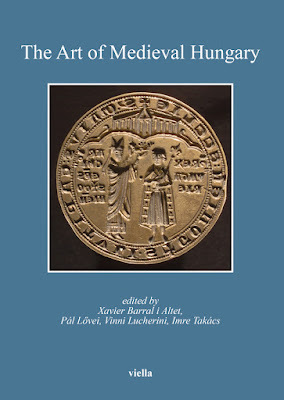 Peregrinations is published by the International Society for the Study of Pilgrimage Art, which was founded in 2000 to bring together scholars who explore the art and architecture of pilgrimage in the late Middle Ages. The journal "provides a forum for themes and topics related to that subject, and to share current research. [...] The artistic expressions which were created to give form to the cults are the objects of our investigation. The journal is edited by Sarah Blick, and the latest issue is Volume 3, Issue 1 (2010). The journal also maintains a photo-bank. 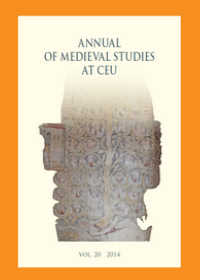 The journal is "a web-based, open-access, peer-reviewed annual, devoted to progressive scholarship on medieval art. Different Visions seeks to fill a significant gap in current publishing venues by featuring articles employing contemporary postmodern and poststructuralist theoretical frameworks to examine medieval visual culture. Authors are encouraged to explore the application of such approaches as feminist and gender analysis, historiography, semiotics, post colonialism and queer theory to works produced during the period from the fourth through the fifteenth century. 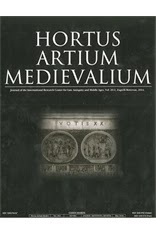 The journal will also consider essays on medieval visual culture that emerge from multiple disciplinary perspectives." The editor-in-Chief of the Journal is Rachel Dressler, and Issue Two is the most latest on the site. During the last year or so, most publications of Hungarian museums have been digitized by the company Arcanum. The database can be reached from the central information portal of Hungarian museums, MUSEUM.HU. 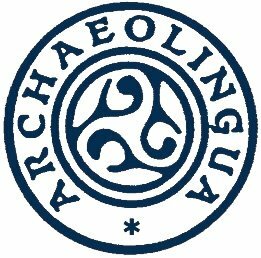 The publications range from historical reviews to archaeological and art historical journals. All journals as well as many catalogues (900.000 pages total) have been made accessible in a central database. The website and the database are in Hungarian, but many of the journals and books themselves are more accessible, as they are often in English or German. Unfortunately the interface is extremely cumbersome (I've been using JSTOR and similar databases for many years, so I know that it is possible to do this kind of job well). While the site has a powerful full-text search engine, it is difficult to browse through publications. New windows keep popping up and every page is in a separate pdf file. There does not seem to be a way to provide direct links to publications (well, you can link to them, but the results won't load), and you cannot download PDF versions of full articles. Another problem is that several digitized volumes are not accessible, as some museums did not allow the online publication. However, these have also been built into the database, so references to them will appear in search results - but you will not see them (this is the case with many publications of the Museum of Fine Arts and the Hungarian National Gallery). The resource can still come in handy if you need to look something up in the Journal of Veszprém County Museums or if you need to find a quick reference about a specific place of monument. The database contains nearly all the publications of Hungarian county museums, and the journals and some catalogues of large state museums. Mikó Árpád, ed. : Renaissance year 2008. Of museum journals, Ars Decorativa, published by the Museum of Applied Arts (you can find it as "Iparművészeti Múzeum") contains studies on the decorative arts in English, German, and French. For medievalists, the publications of the Monument Protection Office ("Kulturális Örökségvédelmi Hivatal") are also very useful. They are generally in Hungarian, but with summaries in foreign languages. A similar database has been prepared from the publications of the Hungarian National Archives, which include numerous medieval source editions.